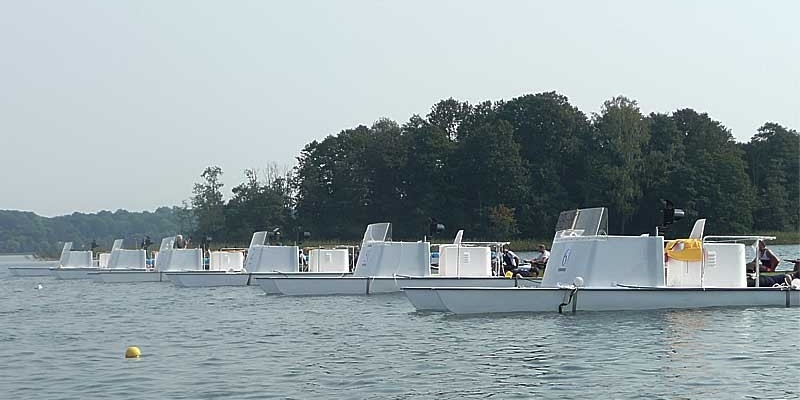 These catamarans provide fast, stable platforms for coaching and race umpires. The light weight catamaran hull configuration has been developed by our partner factory, Armplast, for minimum wash at speed. The original Emili S650K model was used in the 2004 Olympic Games in Greece as well as World & National Championships. After many modifications and developments she has now become the Emili 650. The Emili 535 was developed from the 650 as a smaller, lighter & simpler coaching catamaran ideal for smaller clubs and rivers. 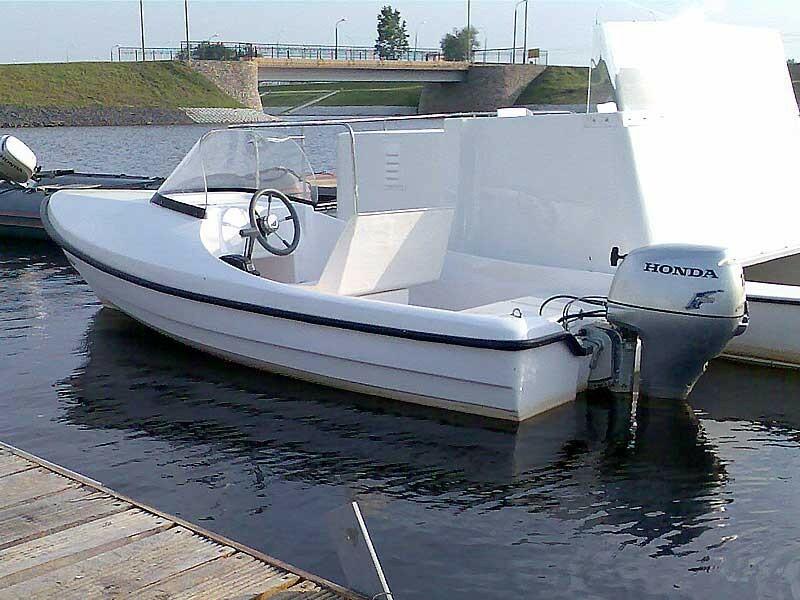 She can acheive speeds up to 35kph with a single 20hp outboard. 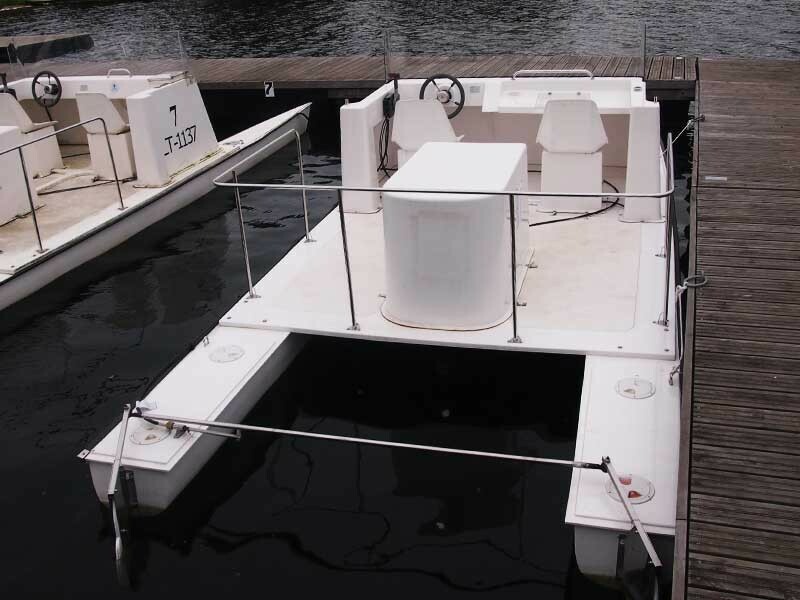 Both boats have clear un-obstructed helm positions and flat working areas for coaches and umpires. The Emili 360 Coaching boat is a small, lightweight boat developed for minimum wash and ease of use. 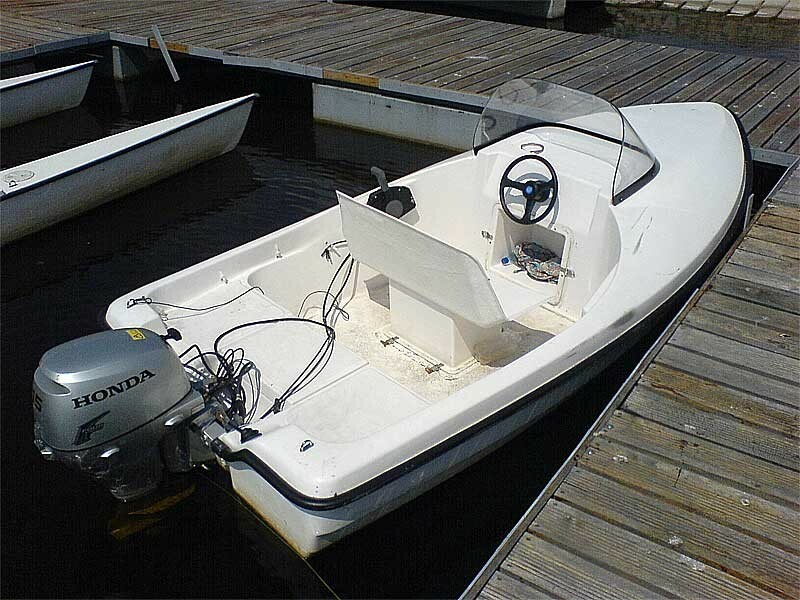 She is very stable and has proved a popular alternative to RIBS, achieving speeds up to 30kph with a 10hp outboard. Her fordeck and screen provide important protection from the wind and elements, reducing wind chill and fatigue, compared to other fully open boats. 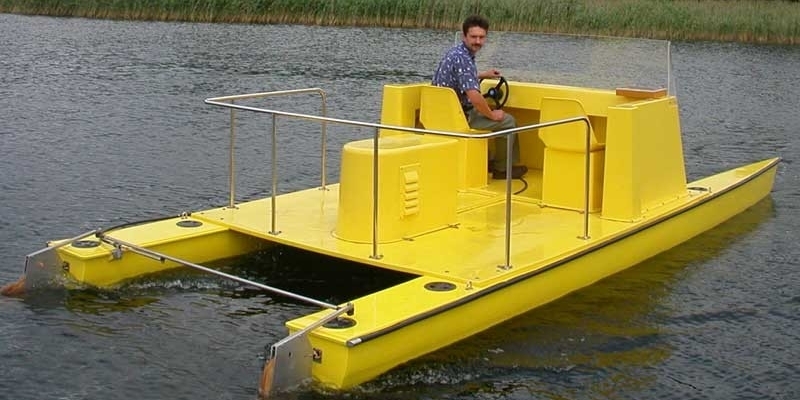 Her compact size, light weight and small engine result in lower running costs and easier storage and laucnhing - ideal for smaller rivers and clubs. All coaching and Umpire boats are built to order and can be delivered direct to your club in 4-6 weeks from date of order. For best prices and availability please contact us direct.